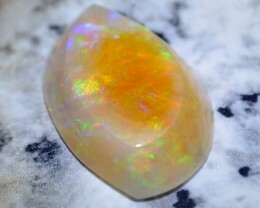 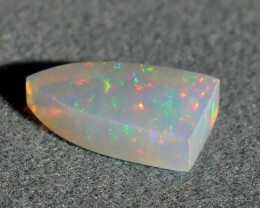 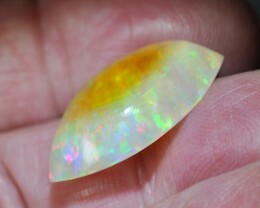 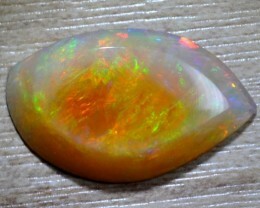 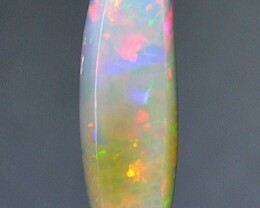 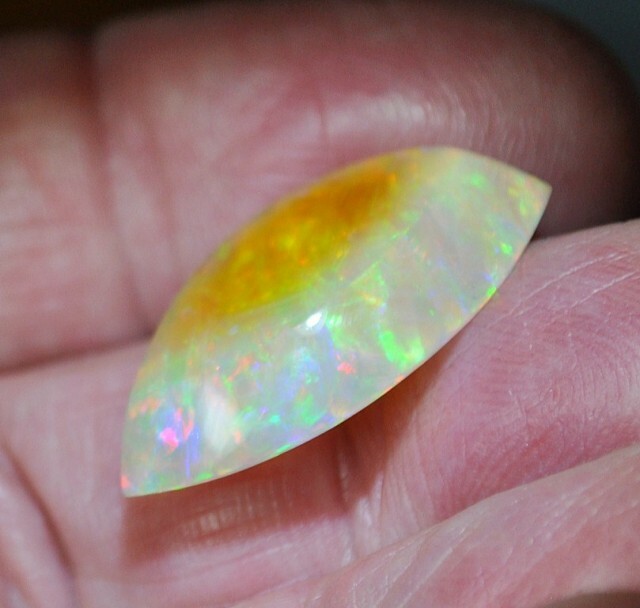 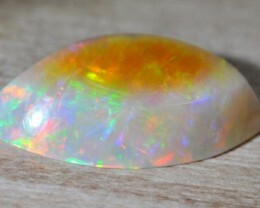 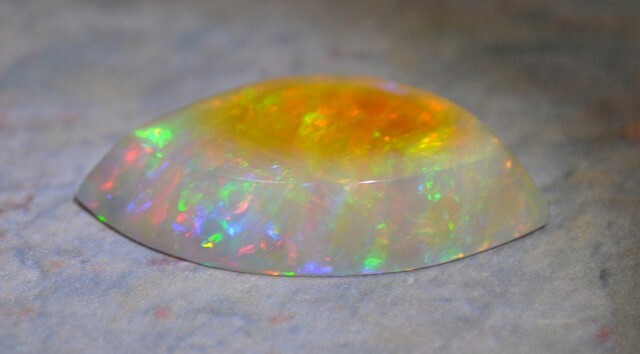 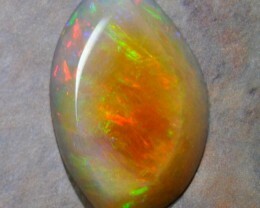 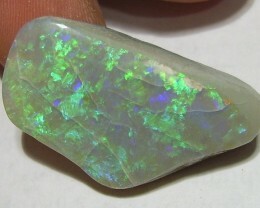 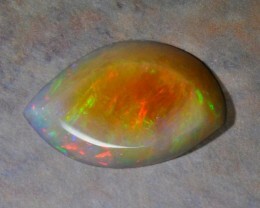 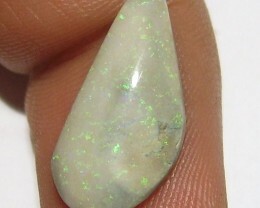 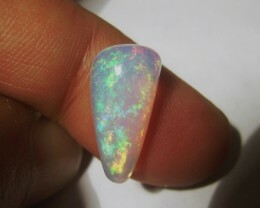 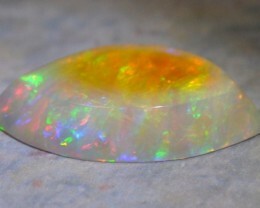 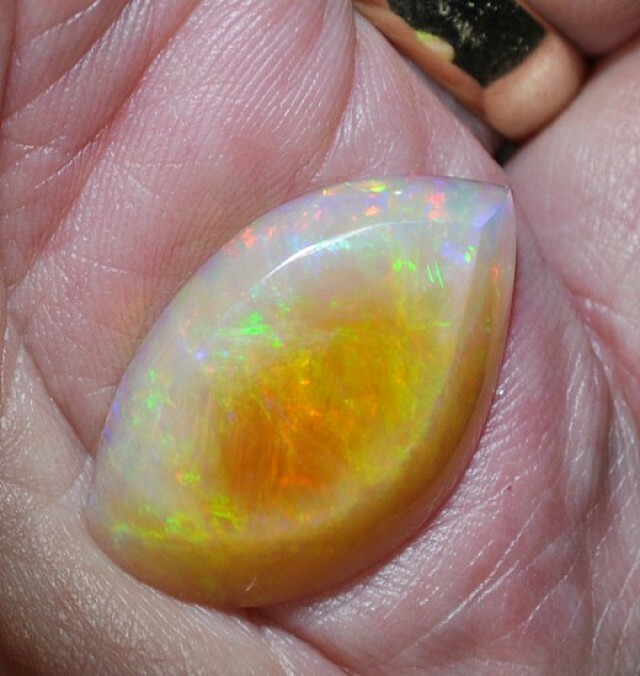 Very occasionally a Welo crystal opal will be found that will have a “phantom” or “ghost” as an integral part of itself. 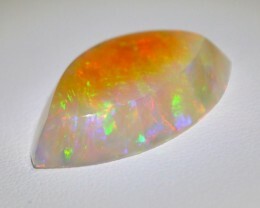 Some Welo phantoms appear as a silken, misty intrusion that indeed resembles a ghostly, other worldly presence. 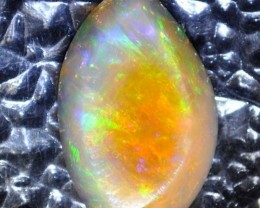 Others may have a golden phantom that often is brilliant in color, a hue that some say rivals polished gold. 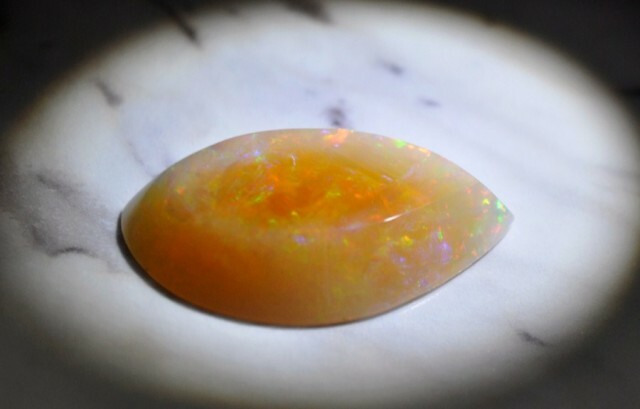 The stone pictured here has a magnificent golden ghost that is not only a rare phenomenon but a strikingly beautiful one as well. 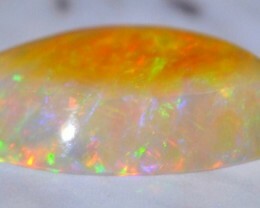 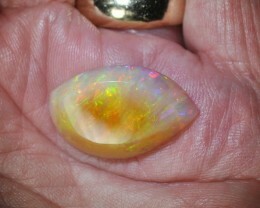 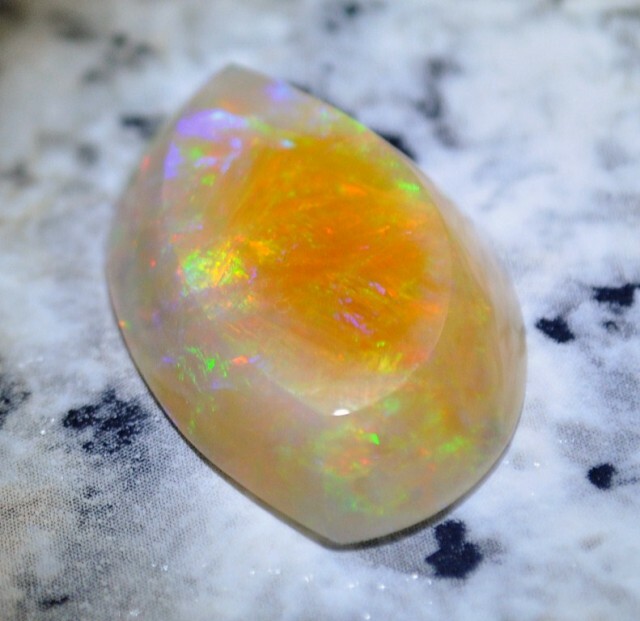 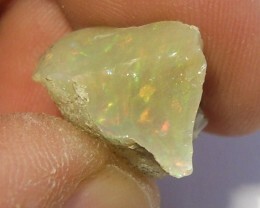 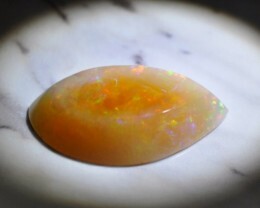 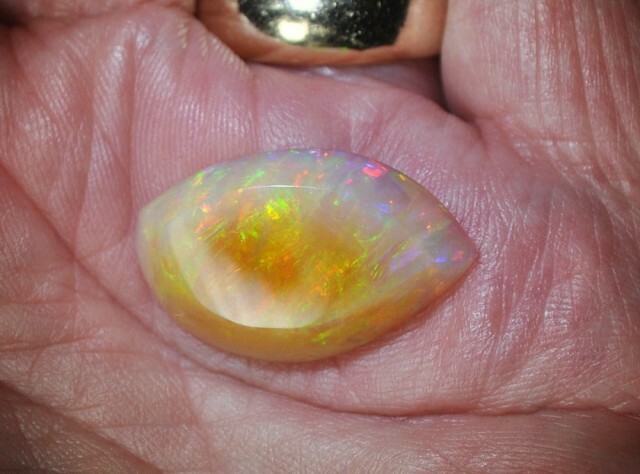 I cut this free form Welo opal to best show its golden ghost coloring and placement. 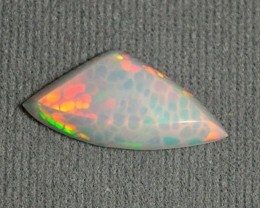 I beveled it for ease of setting, if that is your desire. 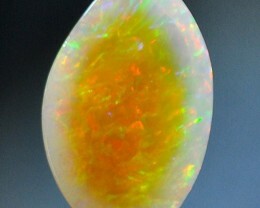 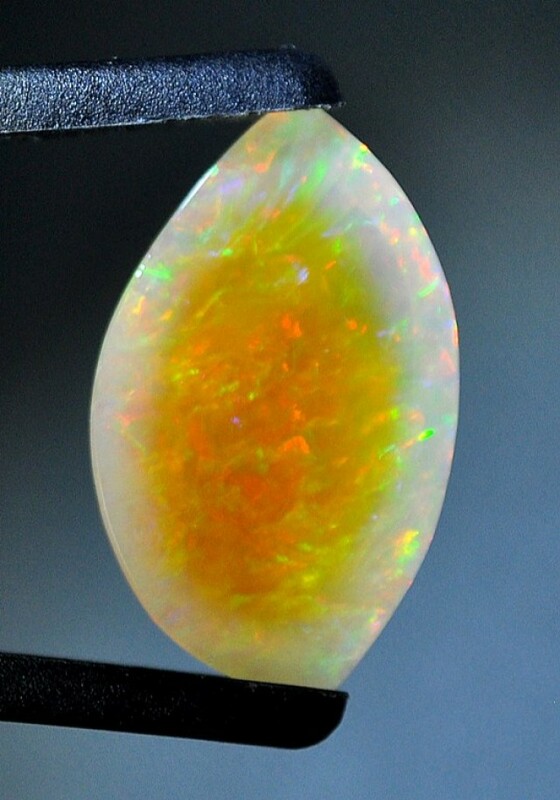 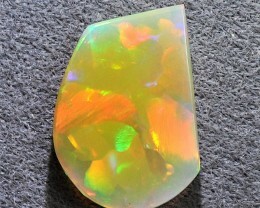 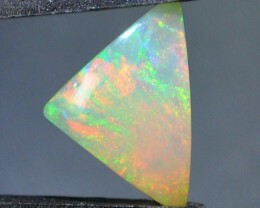 Please note the translucent edge portion of the stone and its bright coloration of the typical opal shades of crimson, blue, green orange, and on across the color spectrum. 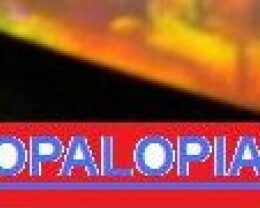 But the prominent feature of this exciting gem is the ghostly area filled with linear structures and flowing tendrils of fire. 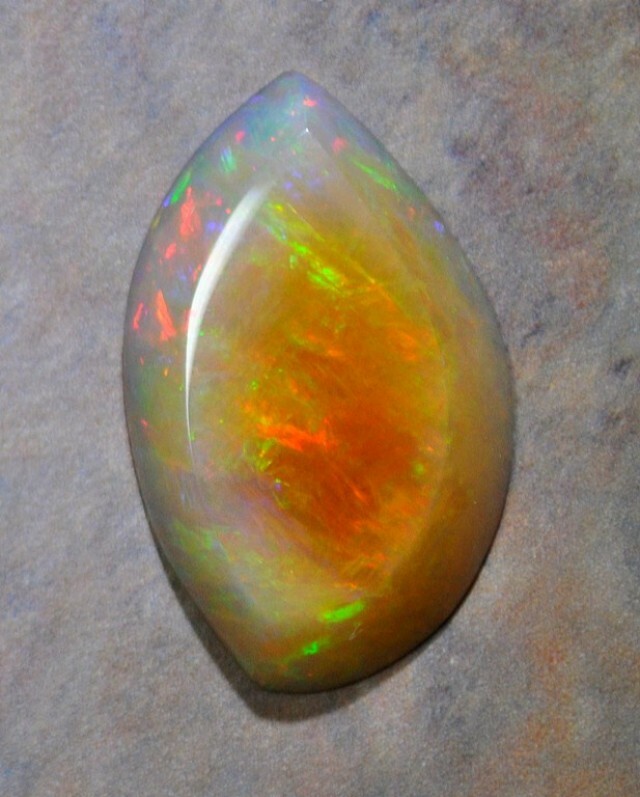 It would be easy to conclude, after a period of gazing into this stone, to guess that it might even have an internal light source. 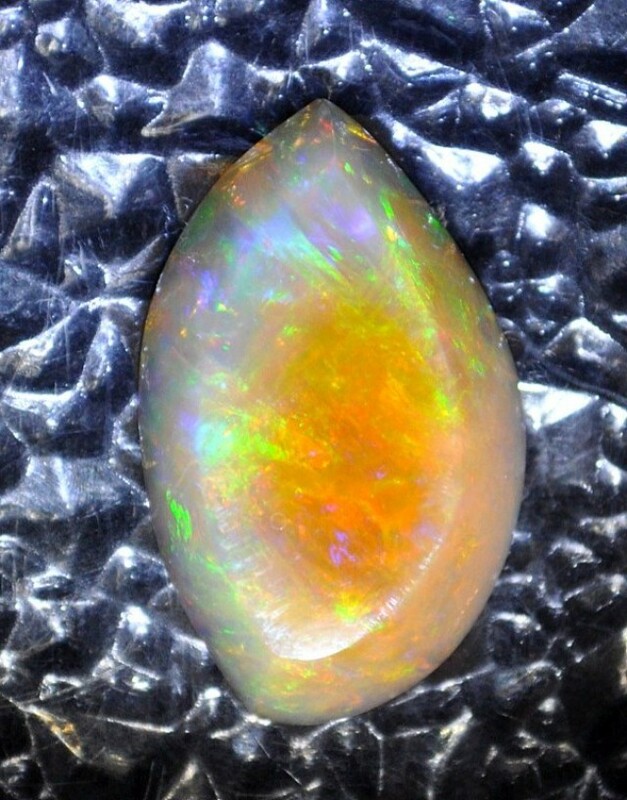 Of course, that is impossible but the sheer loveliness and brilliance of this gem is so outstanding that even the experienced eye can be fooled. 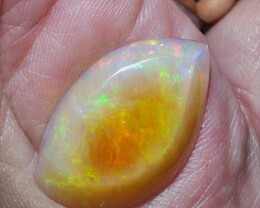 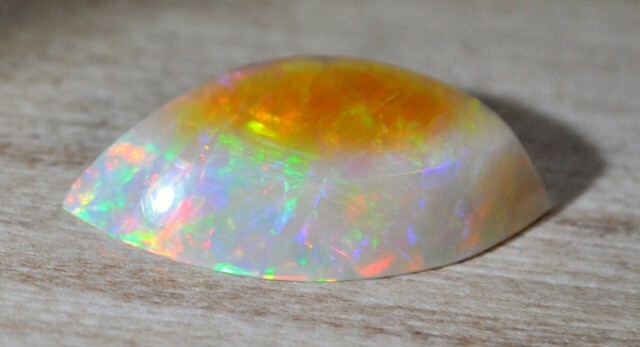 Here is Welo crystal opal golden phantom at its best…and at a price much less than a lover of Welo opal might think. 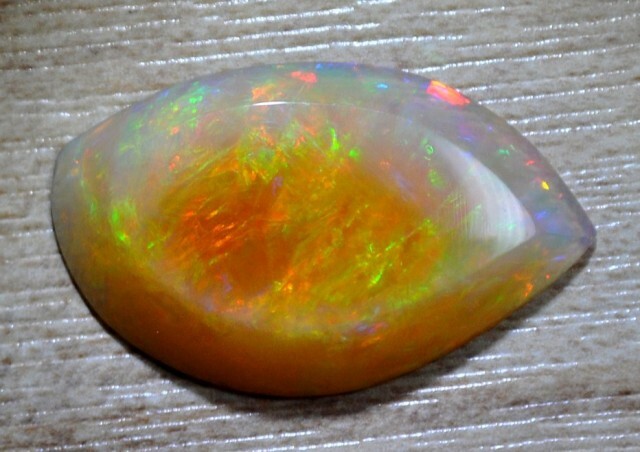 You will love this stone.